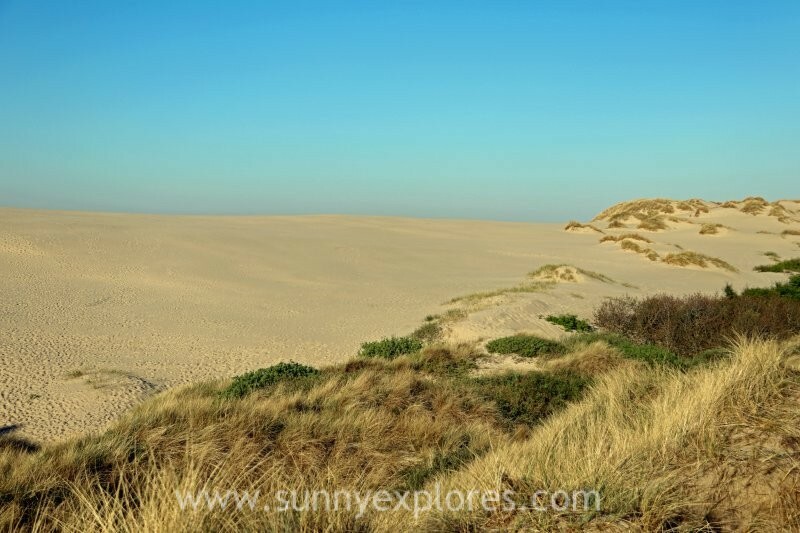 The north of Jutland in Denmark is land eaten by sand and sea. Water and waves, wind and drifting sands are threatening land, but at the same time the elements are creating mindblowing landscapes as well. 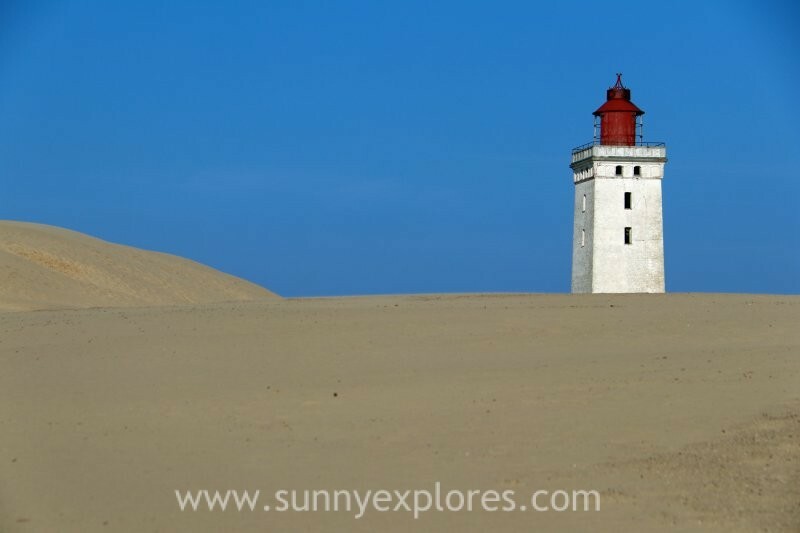 In Jutland you will find not only beautiful beaches, great surfspots and spectacular fjords, but also walking sand dunes, a sand-buried church and a lighthouse that will fall into the sea soon. Sand as far as the eye can see. I felt like I was back in the Egyptian desert. 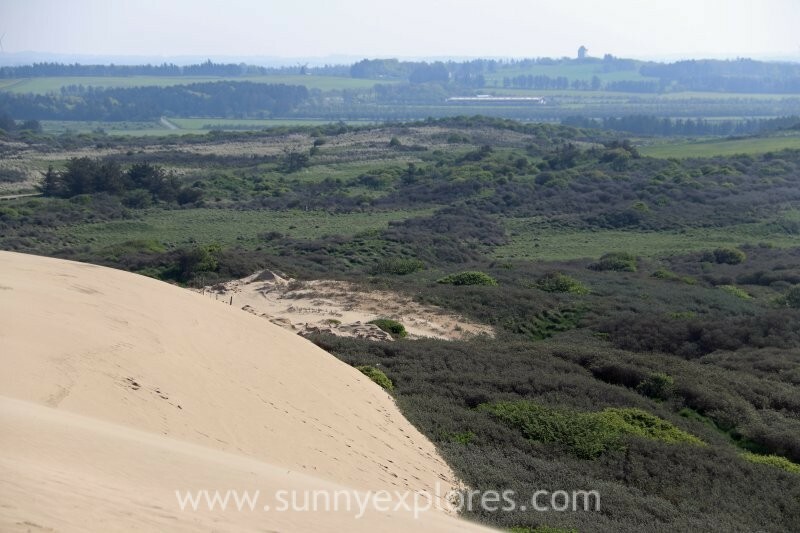 Råbjerg Mile is is the largest migrating sand dune in Northern Europe and is moving about 15 meters per year. 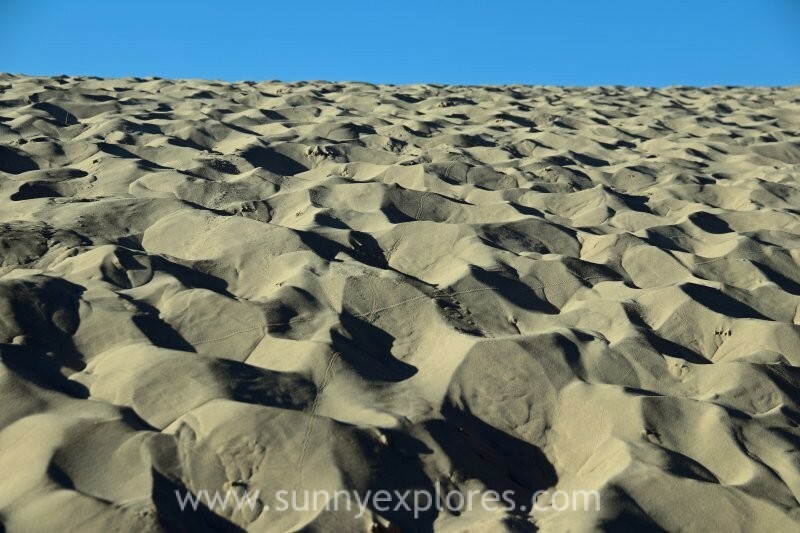 The sand dune was formed in the 16th century during the great sand migration. In the 15th and 16th century the water level was lower than today and the exposed sand from the coast blew inland and destroyed villages, farms and fields. Since then, the shifting sand has been stopped with plantations, but Råbjerg Mile somehow survived. Nowadays it’s a landscape almost out of this world. 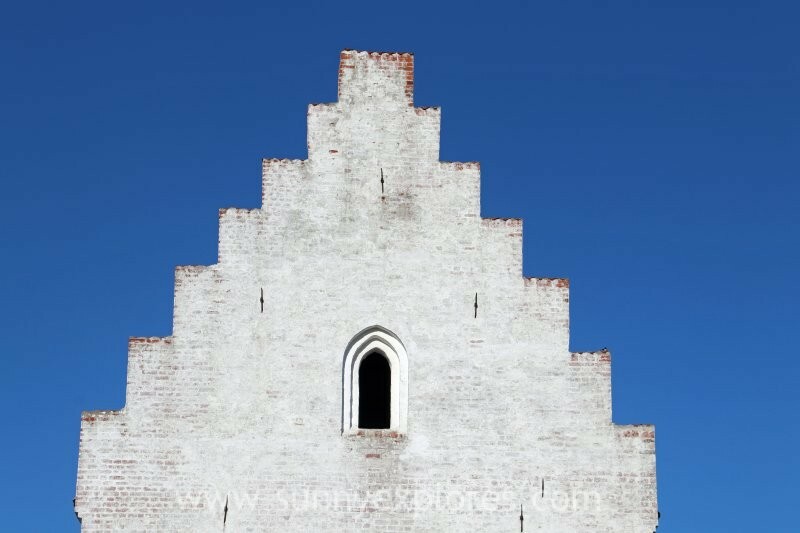 The migrating sands of Skagen turned the 14th century Saint Laurence church into ‘Den Tilsandede Kirke’, a ‘sand-buried church’. During the late 1700s the parishioners had to dig with shovels to conduct services, but eventually they lost their fight with nature. Today, only the church tower remains visible. 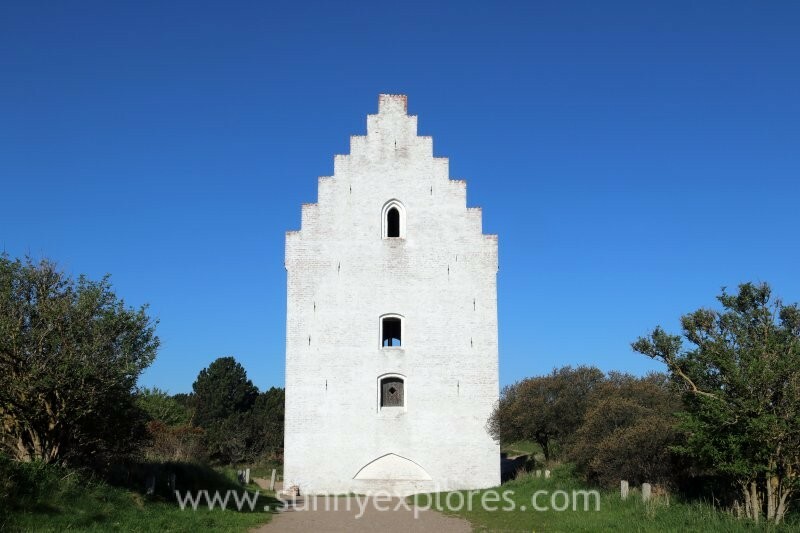 Hans Christian Andersen visited this place in 1859 and called it ‘the Pompeii of Skagen’. The wind makes Danish North Sea coast an ever changing landscape. The most special and beautiful place I experienced in Denmark was Rubjerg Knude. 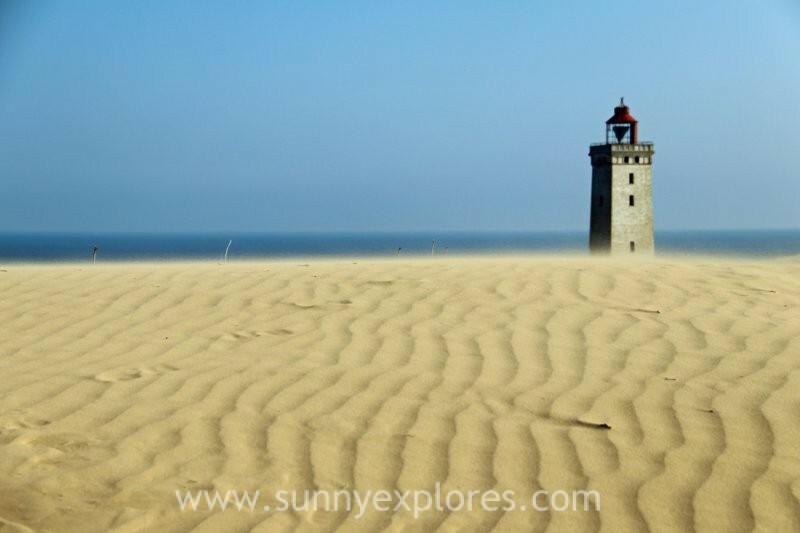 Rubjerg Knude Fyr, a lighthouse located close to beach town Lønstrup, is slowly swallowed by the sand. Although built 60 meters above sea level, shifting sands already destroyed the nearby museum and café. The lighthouse ceased to operate in 1968, while the museum and café were abandoned in 2002. It’s expected that the tower will fall into the sea by 2020. This place captures my imagination: a ghost lighthouse in the middle of a golden desert, where the wind quickly erases all signs of human footsteps and leaves the most beautiful wavy desert formations in the sand. Beauty beyond comprehension!